We’ve been back from New York nine days, since which I’ve been to Chicago and back. 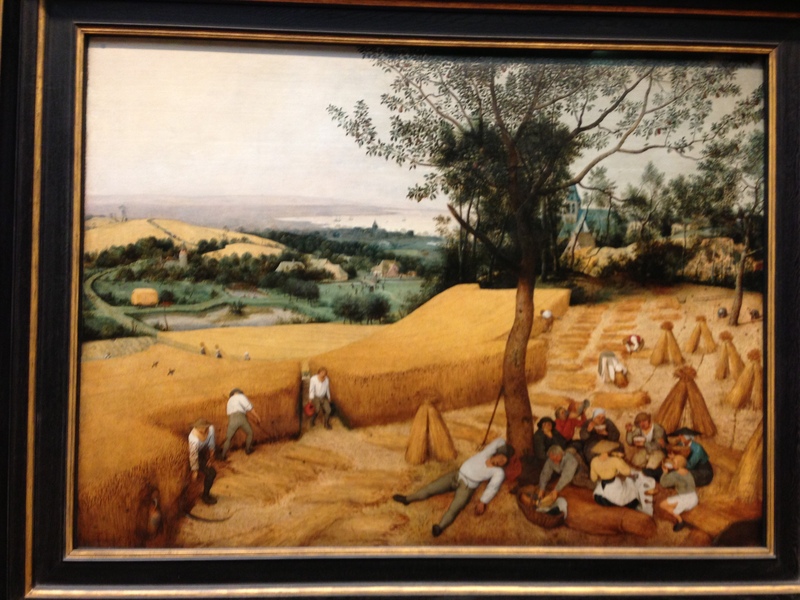 Before the NY trip fades, I want to describe our brief outing to the Metropolitan Museum of Art on our final morning. To visualize lifesize or colossal marbles, the great Roman Baroque sculptor Gian Lorenzo Bernini (1598–1680) began by making small, spirited clay models. Fired as terracotta, these studies and related drawings preserve the first traces of the thought process that evolved into some of the most famous statuary in the city, including the fountains in the Piazza Navona and the angels on the Ponte Sant’Angelo. This exhibition assembles for the first time some fifty of these bozzetti and modelli, as well as thirty chalk or pen sketches alongside three small-scale bronzes and a marble group. Through connoisseurship and a comprehensive campaign of scientific examination, the selection of models addresses the issue of what separates the hand of the master from the production of his large workshop. 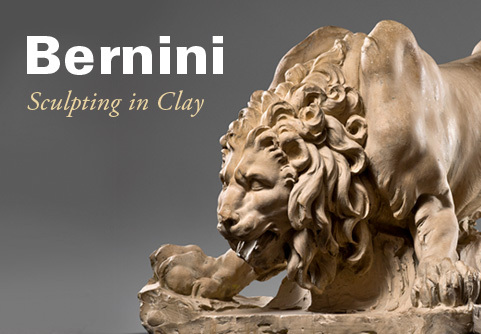 The stellar exhibition “Bernini: Sculpting in Clay,” at the Metropolitan Museum of Art offers an intimate view of this most public of Counter-Reformation artists, making us privy to the studies that preceded the celebrated monuments executed by the master and his busy workshop. It’s like watching Bernini think, and it makes him seem as present and vital as he must have seemed to his colleagues and rivals in 17th-century Rome, all of them undoubtedly frustrated at his getting all the best commissions but surely awed by his talent. Spend some time with the works elegantly installed in the Met’s Lehman Wing and you understand just why Bernini was so often the first choice of popes, cardinals, the nobility and, though the project ended badly, Louis XIV. I didn’t give this exhibition the time it deserved. Mostly, as we wandered around, I realized that I needed to get back to Rome to spend more time wandering the squares so that I could see the works for which these studies were made. Some photographs helped. 2. 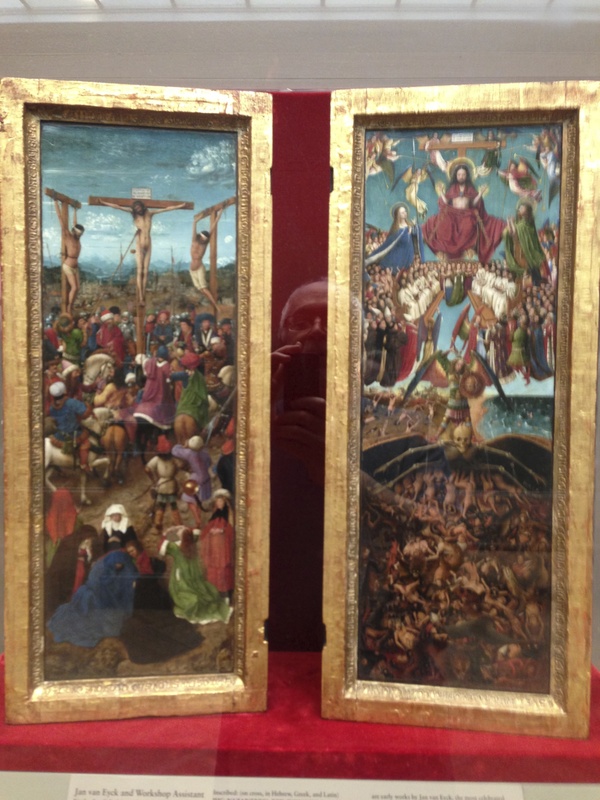 To get from the Lehman wing, which housed the Bernini show, up a floor and over to the Asian wing, we passed Medieval European works, including a case of extraordinary northern European Christian objects from the 12th century or so. 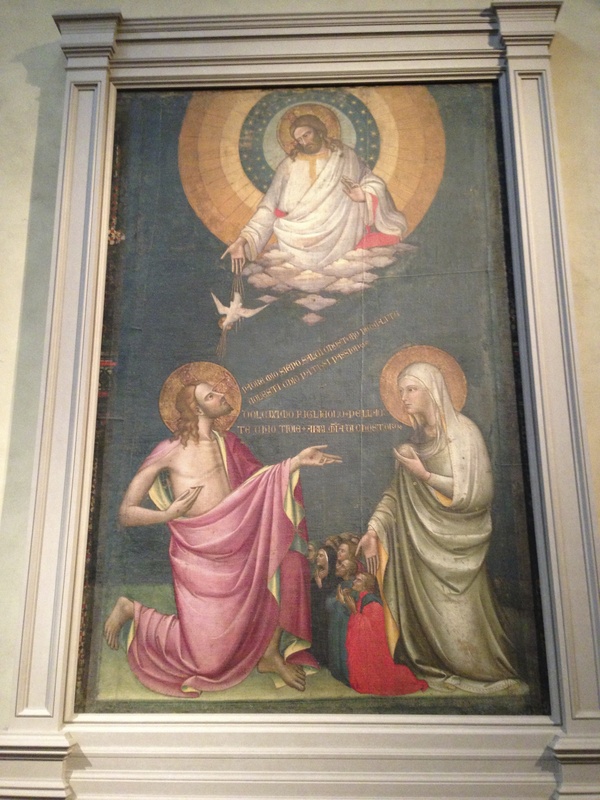 And this, Lorenzo Monaco’s “Intercession of Christ and the Virgin,” from Santa Maria del Fiori cathedral in Florence, painted before 1402. 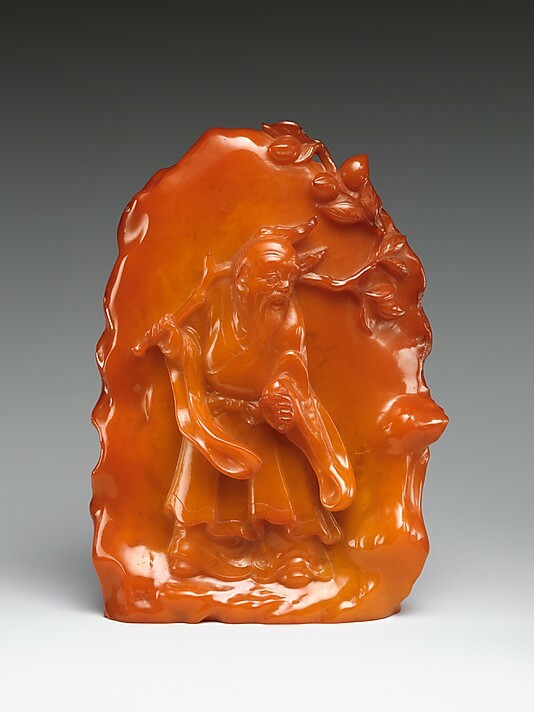 The stone carvings of the Qing period can be grouped in three categories: personal adornments such as rings, bracelets, and pendants; articles for daily use (mainly in the scholar’s studio) such as brush holders, water pots, and seals; and display pieces such as copies of antiques, miniature mountains, and animal and human figures, the latter being the largest of the group. The carvings can also be classified by their decorative style: archaic or classical, meaning their shapes were derived from ancient ritual vessels; “Western,” which bore the influence of contemporary Mughal art from northern India; and new or modern, meaning novel shapes and designs created during the Qing dynasty. Drawing together objects from India, Pakistan, Afghanistan and the western reaches of Central Asia—regions connected in the sixth century A.D. through trade, military conquest, and the diffusion of Buddhism—the exhibition illuminates a remarkable moment of artistic exchange. At the roots of this transnational connection is the empire established the end of the fifth century by the Huns (Hunas or Hephthalites) that extended from Afghanistan to the northern plains of India. 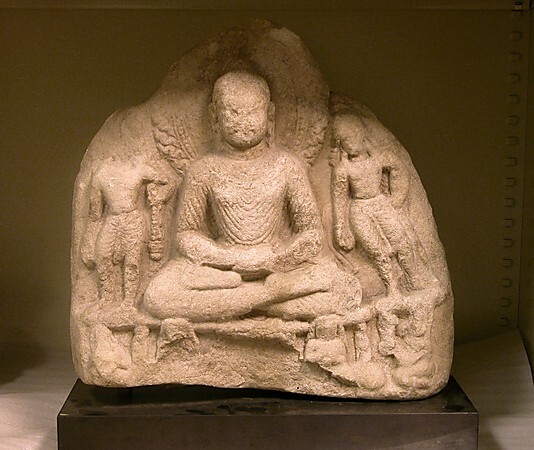 Although this political system soon disintegrated into chaos, over the next century trade routes connecting India to the western reaches of the Central Asian Silk Road continued to link these distant communities, facilitating ideological exchange and financing the production of Buddhist imagery of great artistic sophistication. 5. Chinese pottery. Some pieces along the walls on the balcony above the great court as we walked south along the 5th Avenue side of the museum from the Asian wing to the Mesopotamian rooms. 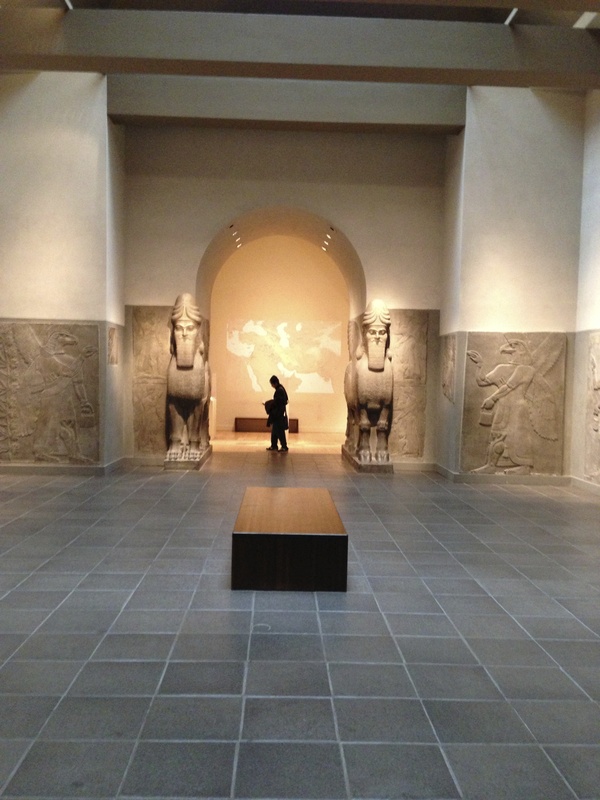 The Raymond and Beverly Sackler Gallery for Assyrian Art has been arranged to evoke the main audience hall of the ninth-century B.C. Assyrian palace of Ashurnasirpal II at Nimrud in northern Mesopotamia. The reliefs that line the walls come from various rooms in the palace, and were excavated during the mid-nineteenth century in one of the earliest archaeological expeditions to the Near East. Guarded by a colossal winged, human-headed lion and bull, wearing the horns of divinity, the reliefs depict the king performing a ritual, surrounded by attendants and supernatural creatures facing stylized trees. The famous Standard Inscription of Ashurnasirpal, which records his achievements, runs across each relief panel. It is written in cuneiform, the script used for the Akkadian language then in wide usage throughout the Near East. Not the best photos. Sorry about that. You can do better at the Met website. With that we headed down, picked up our belongings in the coatroom, returned to the hotel, closed our bags, checked out, and met my sister and brother-in-law in the lobby for lunch next door, bringing our New York trip to a close.